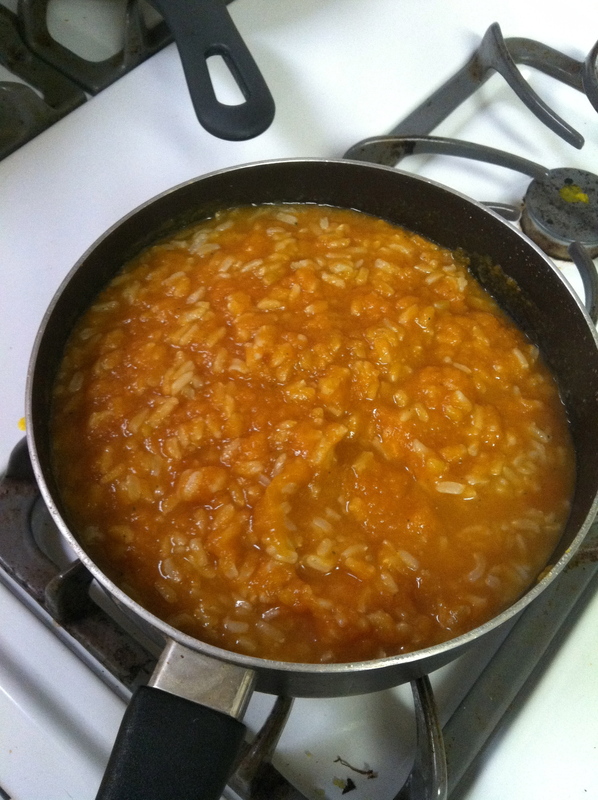 I love risotto, but I almost never make it because I rarely have arborio rice on hand. 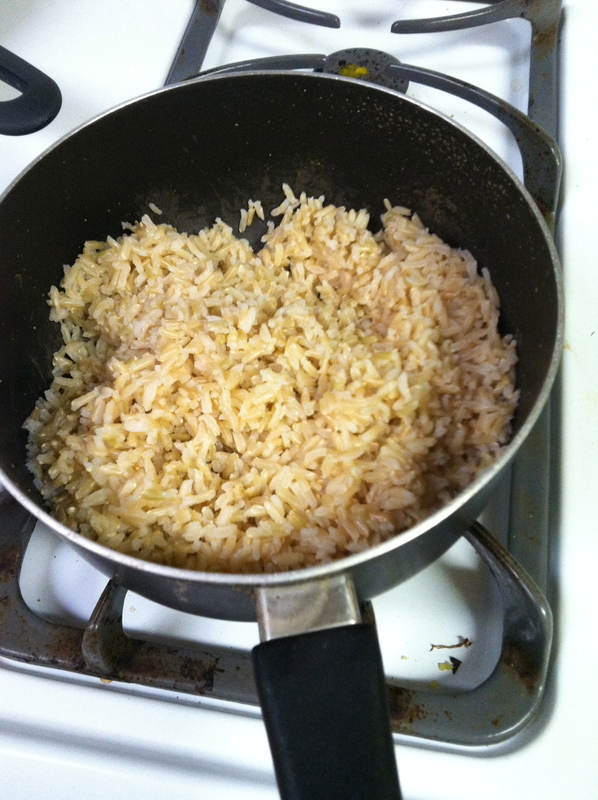 I almost always, however, have brown rice on hand, so I decided to make a wannabe risotto of my own creation. 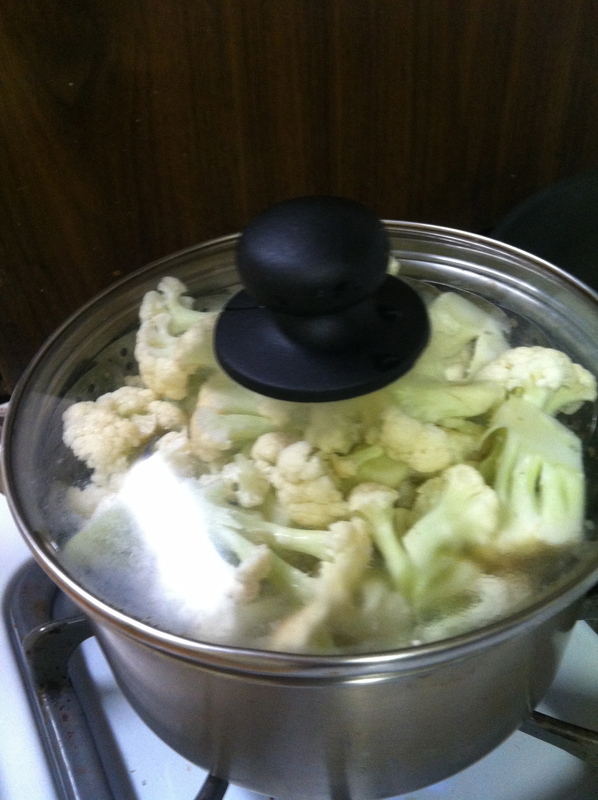 This dish was great and made about 4 servings. 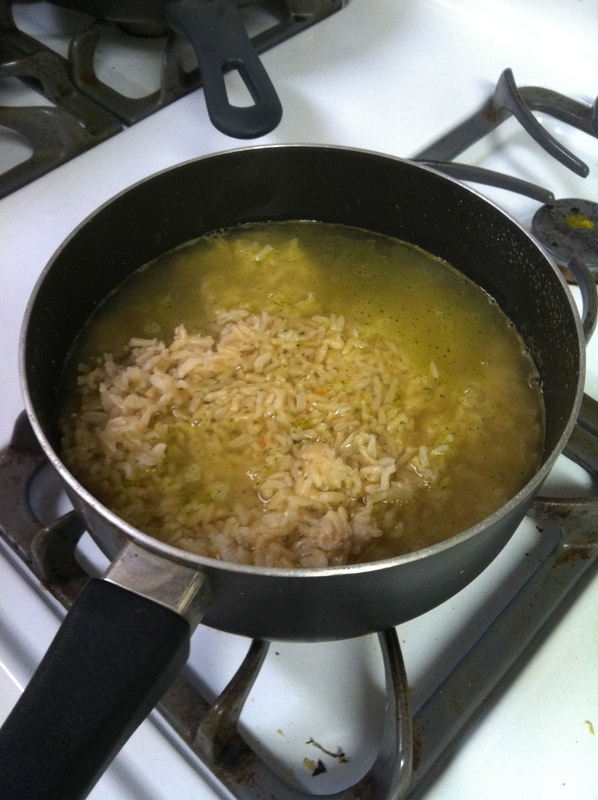 It is definitely best served warm, although I had it cold a couple days for lunch. 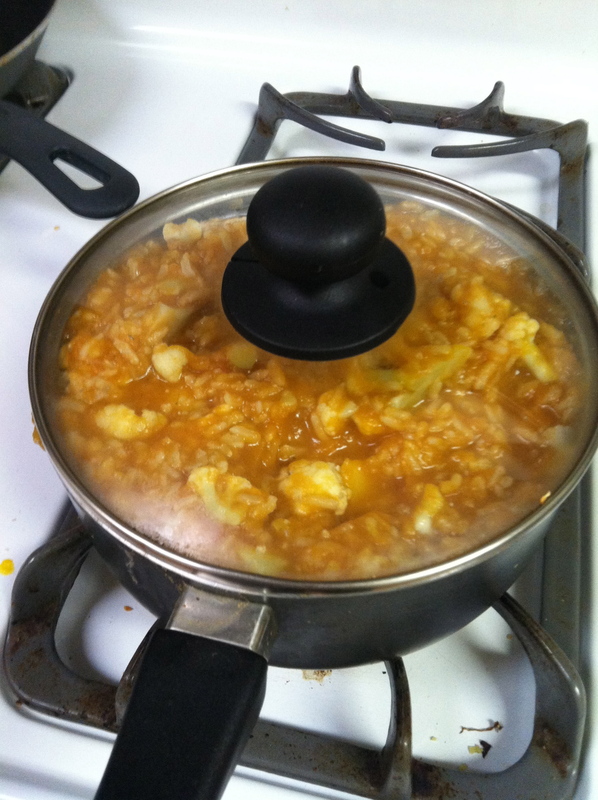 After whipping this up for dinner, I had big plans to go to the theater. 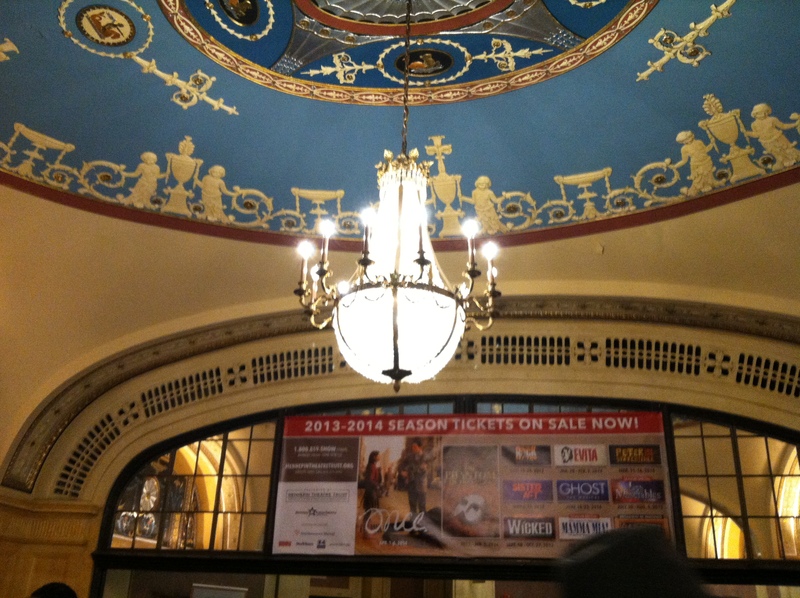 The Orpheum is Minneapolis’ venue for touring Broadway shows, and for the last two years I’ve had season tickets and LOVE IT! There are about 6 shows each year, and I look forward to each one. 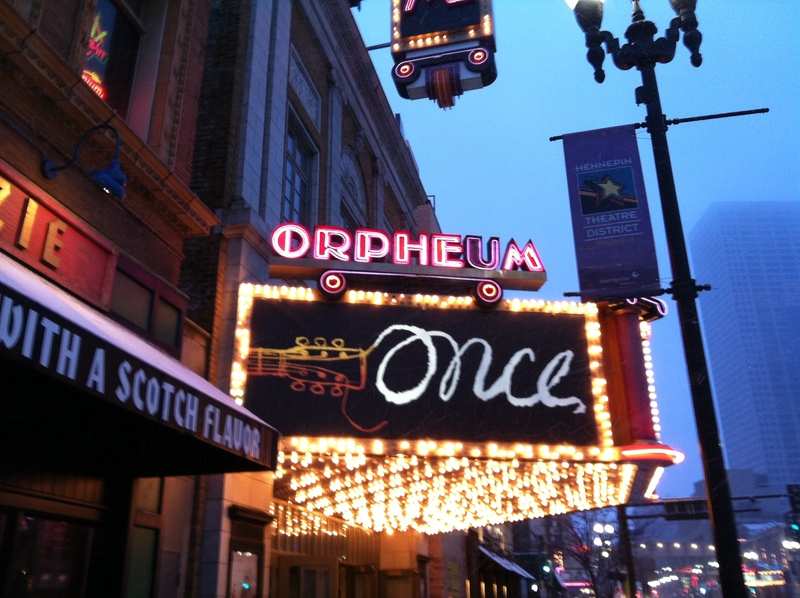 Last week, the Orpheum was showing Once, a musical about a Scottish musician who repairs his broken heart and gets his big musical break by befriending a Czech woman. And no, that is not an illegal picture taken during the show. One of the most unique things about this performance was that the curtain never closed and there were always actors on stage! Additionally, the actors themselves formed the band for the show, and every actor had an instrument that they used both within character and on the side stage as part of a band. 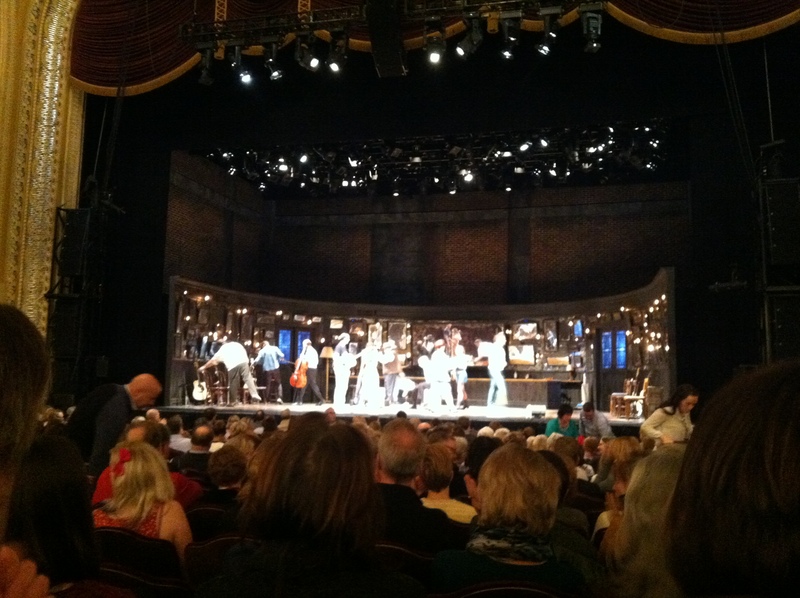 As people filed in to take their seats, the whole cast was onstage playing music and singing. At intermission, the audience was invited to go onstage and look at the set. I loved the show and thought the music was great. I was also super impressed how the actors sang, played their instruments, and stayed so in character the whole time. 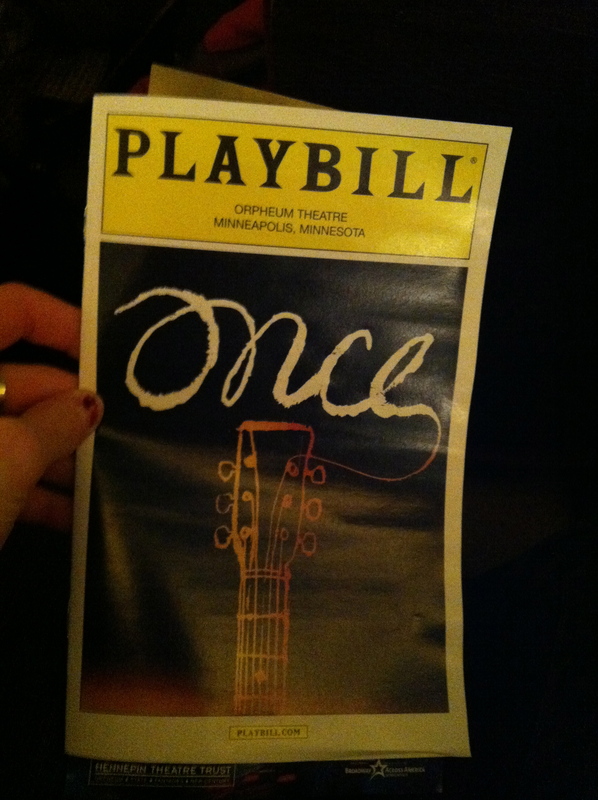 If you have a chance to see Once, I would definitely recommend it!